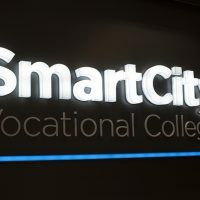 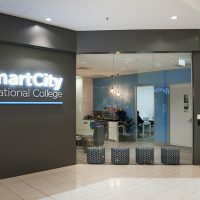 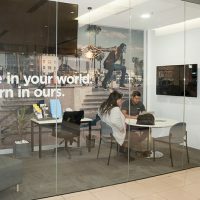 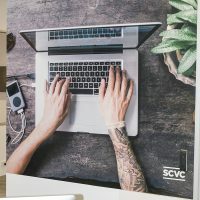 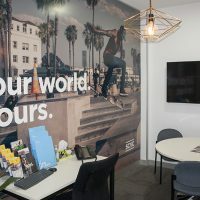 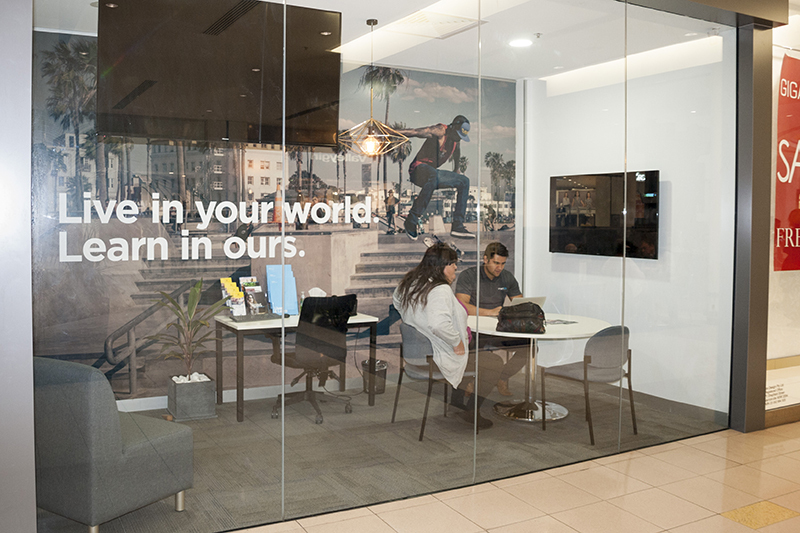 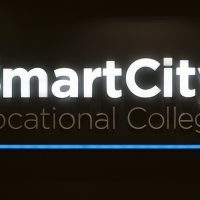 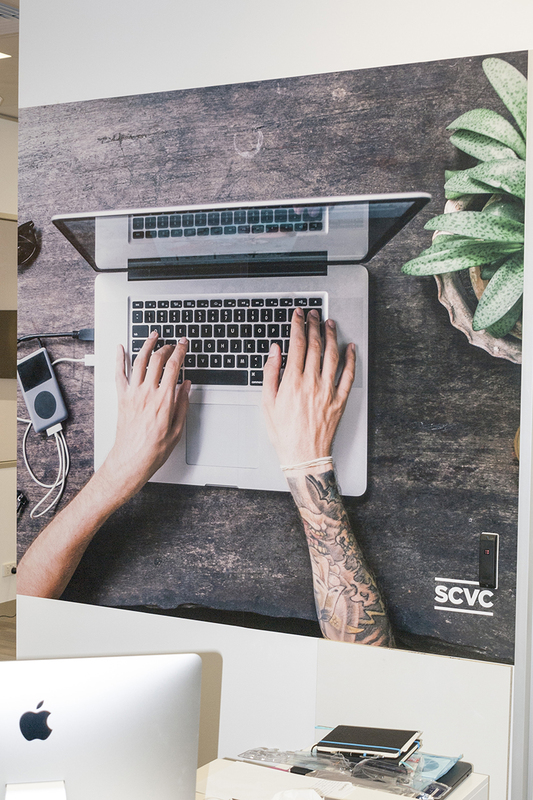 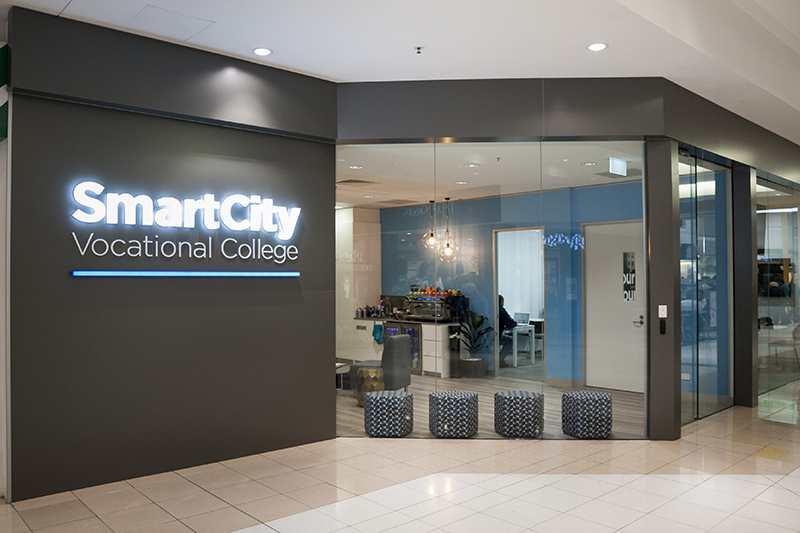 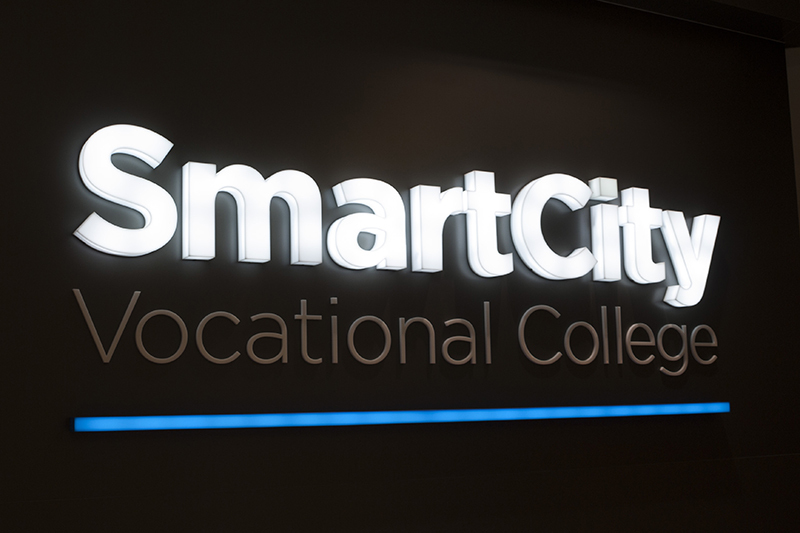 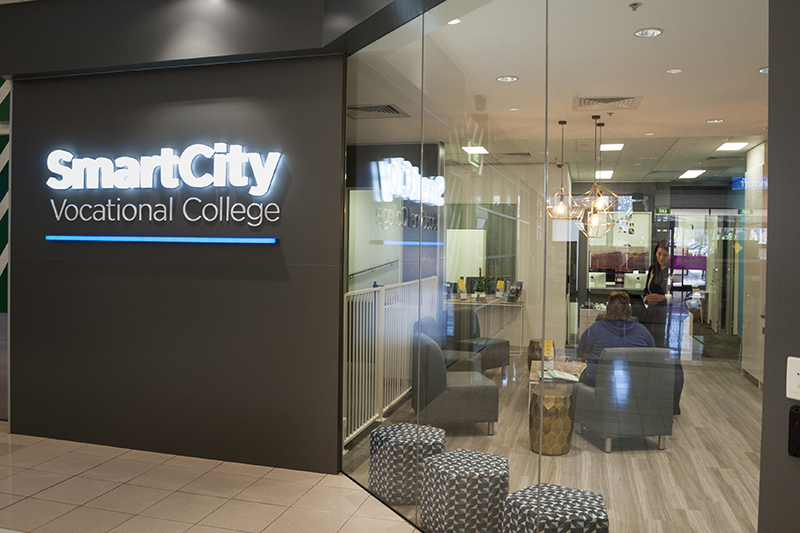 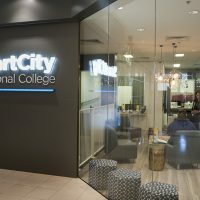 Specification: To produce eye catching identity signage at the entrance of the college and enhance the learning and meeting rooms with modern wall graphics. 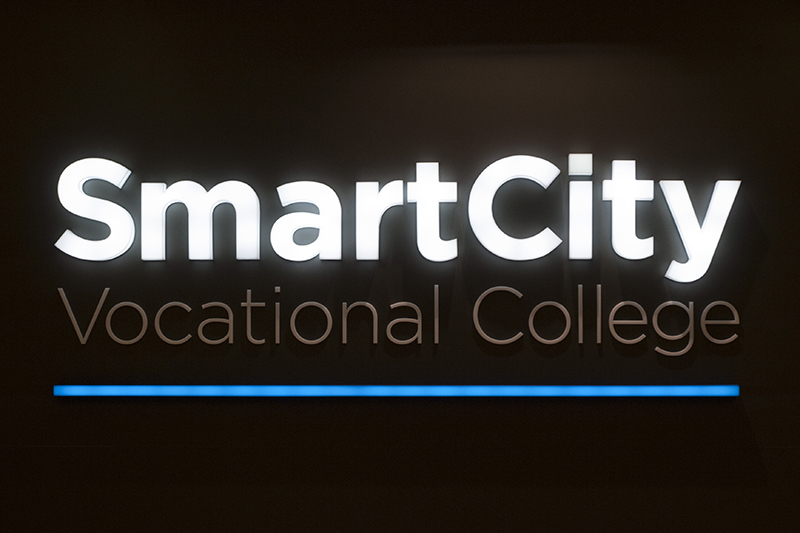 LED illuminated identity sign includes 2pac painted acrylic laser cut letters. 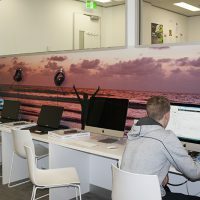 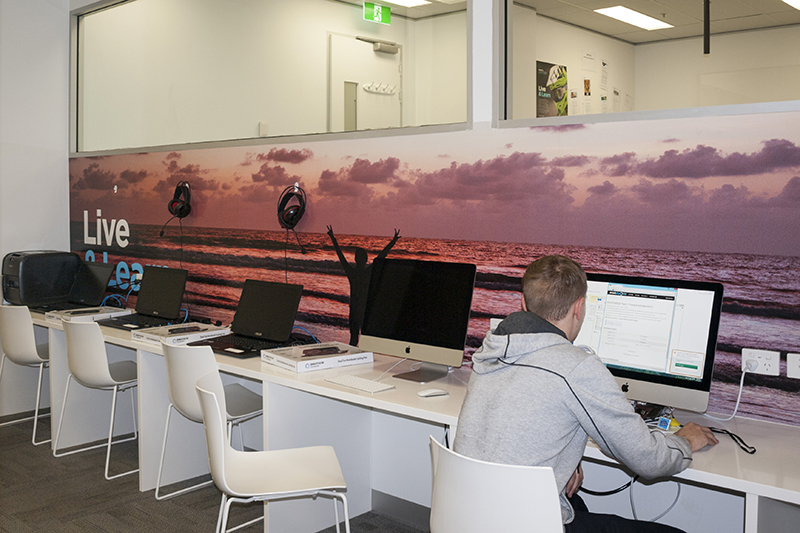 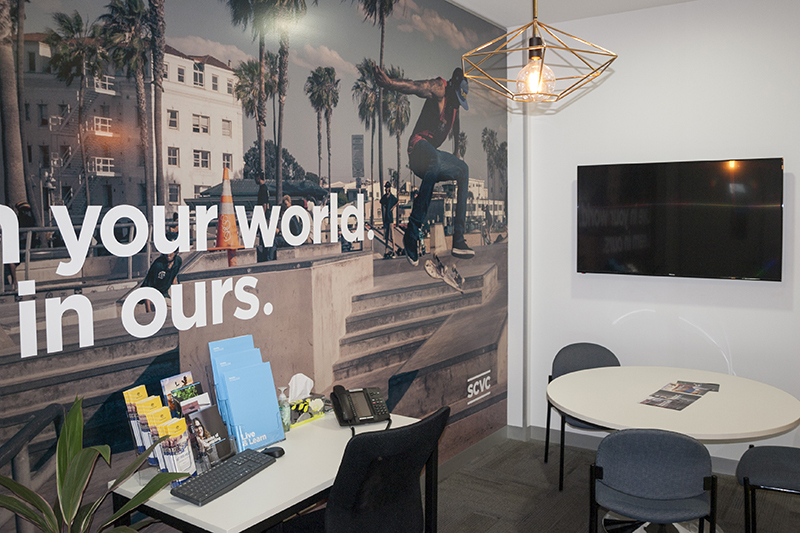 Interior wall paper murals applied to study areas and meeting rooms.